There are many reasons why selling your wrecked motorcycle is a good option. If your bike is on its last legs you will have to spend more money on its repairs than its actual worth. 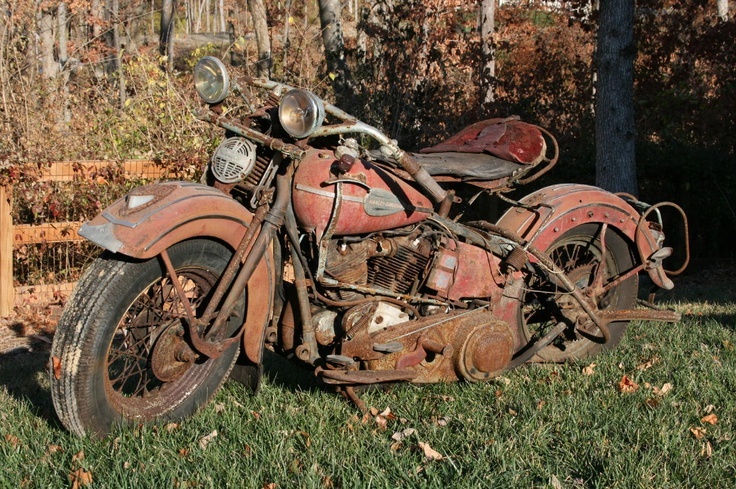 If your used motorcycle has some serious rust issues, it’s not worth keeping anymore. The best option is to get cash for your motorcycle which is no longer roadworthy. Whatever your reasons for selling your used motorcycle, you should know how the process works. Is it difficult to sell a wrecked motorcycle? To whom should you sell your used motorcycle and will you get cash in return? All these questions can best be answered by the experts at junk motorcycle removal companies. Where to Sell your Wrecked Motorcycle? There are many places that buy used and wrecked motorcycles for cash. It depends on your research of finding the best motorcycle junkyards in your locality. Let’s look at how a junk motorcycle removal company works and how it can help you sell your wrecked motorcycle. The companies that buy wrecked motorcycles make the most out of all the junk motorcycles they buy. The used motorcycles that are in running condition are sold as secondhand vehicles to buyers searching for used motorcycles. The wrecked motorcycles are dismantled to separate the functional and non-functional parts. The functional parts are sold as replacement parts to private dealers or sellers. The junk motorcycle parts are often taken to the salvage yards for scrapping and recycling. All salvage yards dispose of the wrecked motorcycles in a responsible manner without causing any negative impact on the environment. Step 1: Firstly you need to search online the topmost junk motorcycle removal companies in your region. After choosing a reliable company you can either call their representative or Get a Quote online. Once you have entered all the relevant details about your wrecked motorcycle, you will receive a no-obligation offer. Step 2: In order to avoid scam, professional companies offer to pay you on-the-spot cash for your motorcycle. Once your payment is made, the motorcycle will be picked up for free from a location convenient to you. A professional motorcycle junkyard always picks up junk motorcycles for free. Step 3: After being taken to a local junkyard your motorcycle will be dismantled and prepared for scrapping. The parts will be removed to be either recycled or reused in other automobiles. Hazardous liquids such as brake fluid, oil, and battery liquids will be drained and stored securely. This helps to ensure that the environment is protected and safe from pollution as well. The Bike Buyers is a reputable and trusted junk motorcycle removal company that is bonded and insured. You can easily sell your used motorcycle and make a good amount of money. The experienced motorcycle junkyards offer free pickup and towing facility for anywhere in the country. Best way to sell Motorcycle-Quick Tips How to Sell a Motorcycle Effectively?